Dr. Morice specializes in women’s health, perinatal care, and tubal reversal surgery. 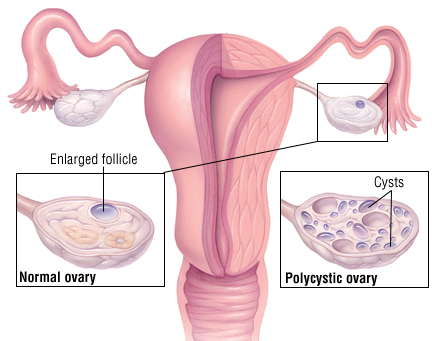 A condition he commonly treats is polycystic ovary syndrome (PCOS). PCOS is a condition affecting as many as 1 in 15 women. PCOS is a disorder caused by a hormonal imbalance in women. Female ovaries typically produce a small amount of male hormones called androgens. In women with PCOS, however, her ovaries make more androgens than normal. The cause of PCOS remains unknown, although genetics, insulin resistance, and fetal development may play a role. PCOS often sets in around the mid to late teenage years. As its name implies, a woman with PCOS often has multiple, benign cysts on the outside of her ovaries. However, not all women with PCOS have this. Due to the hormonal imbalances, there are various symptoms that a woman with PCOS may experience. Often, women with PCOS have infrequent periods or no periods at all. Some women with PCOS have trouble getting pregnant or experience infertility. Acne and hair growth on the face and body (chest, stomach, and back) are common in women with PCOS. Weight gain and trouble losing weight is also a side effect. Insulin resistance is commonly seen in PCOS, which can lead to type II diabetes if left untreated. Because PCOS can cause serious health problems, it’s important to have regular checkups with your doctor if you have PCOS to help manage your hormone levels. If you notice that you are having infrequent menstruation or growing more hair on your face and body, talk to your doctor about PCOS. Your doctor can run blood tests to check for signs that indicate PCOS. They can also perform an ultrasound to see whether or not you have cysts on your ovaries. Your doctor may prescribe birth control pills to help regulate your hormones. This will help decrease the amount of androgens your body is producing. Hormone regulation will also decrease the amount of body and facial hair you’re growing and regulate vaginal bleeding. Metformin, a medication for type II diabetes, may be prescribed to help treat insulin resistance. If you are trying to become pregnant, your doctor may prescribe an anti-estrogen pill or metformin, which also aids in fertility, to help you ovulate. In addition to drug treatments, eating healthy and staying in shape is very important for women with PCOS. A healthy lifestyle will help lower blood pressure and cholesterol, both complications of PCOS, and will reduce your chances of getting diabetes or heart disease. Losing weight will also help keep your hormones on track, because extra weight can add to hormonal imbalances. Call the Atchafalaya clinic today to make an appointment with Dr. Morice. Contact us at (985) 702-BABY or drmorice@mybabydoc.com.